Why use an inferior paint when you can get superior paint for a lower price? If you havent tried LUKAS paints, you’re missing out. LUKAS paints have amazing quality, incomparable color intensity, a brilliant color spectrum and high pigments. From oils to acrylics to watercolors, the paints produced by the German paint-maker have been pleasing artists for almost 150 years. From their founding in Dusseldorf in 1862 to now, LUKAS Artist Colors has kept its reputation as a “true artists paints”. 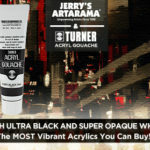 Right now through the end of the year , only at Jerry’s Artarama, you can buy 6 tubes of LUKAS paint, you get the seventh tube free. 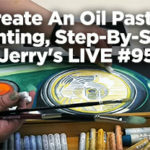 This Offer is good on all paints from the 1862 Oil Colors, Studio Oil Colors, Cryl Pastos Acrylics, Cryl Studio Acrylics and Berlin Water-Mixable Oils lines. Also available is new lower pricing! 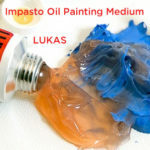 Now you can find any of LUKAS’ highly rated paints for up to 65% off list price. For teachers, LUKAS paints are the best options for students. 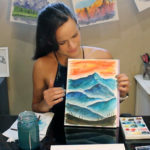 Why would you have your students spend more money on hobby paints to learn to paint when they can get LUKAS brand paints for less money and at a much higher quality? LUKAS paints are a much better quality than those cheap hobby paints. With a higher pigment load, more brilliant colors and great, smooth consistencies, students can learn with a better paint and not have to worry about high costs for the quality. Instead, students can paint and learn with much better quality paint. Teachers, make the wise choice. 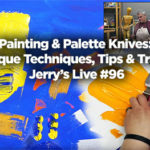 Have your students paint with LUKAS! Fact: Van Gogh used LUKAS oil paints! Fact: The LUKAS brand is over 150 years old. Fact: Premium quality paint out of Europe. Fact:Dries reasonably in 2-4 days.